More Ryanair passengers have taken compensation claims for cancellations or delays to arbitration this year than any other airline, figures show. Aviation Alternative Dispute Resolution (ADR) statistics showed the airline accounted for the largest proportion - 30% - of all appeals. In the first nine months of 2018 it received 22,159 complaints but only processed 1,347 of 6,653 Ryanair cases. Ryanair denied "holding up" the compensation process. According to the Civil Aviation Authority, under EU legislation passengers are allowed to make an EU261 claim when flights are delayed by three hours or more, cancelled or when they are denied boarding. A total of 22,159 UK passengers went to the arbiter during the nine months over claims for delayed or cancelled flights. Some 80% of passengers with Ryanair - which had the highest number of complainants - were still waiting for their case to be dealt with. The organisation said the speed at which it dealt with appeals was dependent on information provided by airlines. In comparison, the Centre for Effective Dispute Resolution (CEDR) - which operates the ADR scheme for Easyjet - was was able to resolve 74% of cases involving easyJet which received 3,747 complaints - the second highest number. In the nine-month period to 30 September, only 20% of cases involving Ryanair were resolved, with 68% of these people seeing their claim upheld, matching the average successful resolution rate for all airlines. In response to the findings, Ryanair said it was "committed to handling all valid EU261 claims within 10 working days". "The fact that a low percentage of passengers were awarded compensation at ADR level demonstrates that Ryanair's Customer Service team are correctly handling most claims. The spokesman added that the "vast majority of denied claims are due to extraordinary circumstances outside our control, such as weather." Passenger Nick Drake said he was still £700 out of pocket after his Ryanair flight from Marseille to Stansted was cancelled in June, forcing him to return home to Essex by train. "Three months after travelling, I am far from getting any kind of result," he said. "I just don't understand how they say 'keep your receipts for your travel, accommodation and meals', then completely refuse to pay you back." Terry Fowler, a carpenter from Suffolk, was stranded in Budapest in August after Ryanair cancelled his flight. His ticket was refunded but the airline said it would not pay for his accommodation or alternative flight home. Mr Fowler said he "gave up" trying to make a claim because it was "causing too much stress and taking too much time". Over the past two years, Ryanair flights have been subject to strike action by its staff. CAA rules say that flights cancelled due to strikes by an airline's employees can be subject to compensation. "The airline is (also) required to pay compensation if it has not warned passengers of the cancellation at least two weeks prior to the scheduled time of departure". 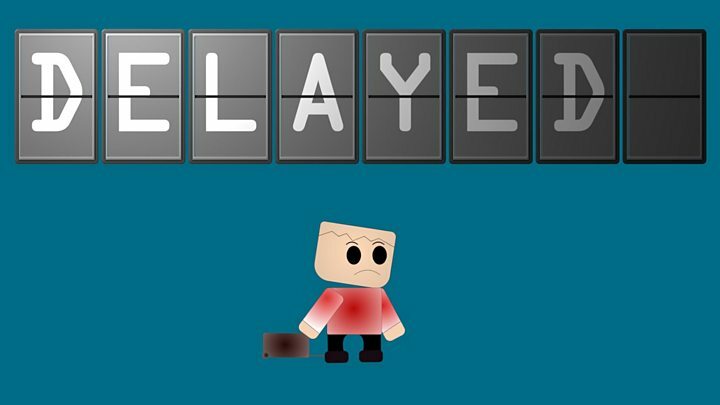 But the BBC has seen a letter from Ryanair detailing its refusal to pay compensation for a Dublin to Gatwick flight cancelled because of staff strikes in September. 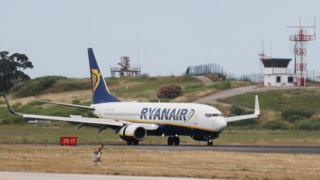 The airline disputed the need to compensate customers over recent strikes caused by its employees, claiming that "if the strikes were within Ryanair's control, there would be no strikes or cancellations". The spokeswoman added: "In recent years, during which there were over 15 days of pilot and cabin crew strikes in Germany, Lufthansa was not required to pay EU261 compensation. "Similarly, the UK CAA should also explain why it took no EU261 action against BA during last year's cabin crew strikes." She said Ryanair fully complied with the UK Alternative Dispute Resolution rules and deadlines and was committed to the ADR process.